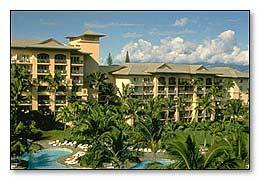 The Aston Kaanapali Shores condominium resort combines the ambiance of a full service resort with accommodations, services, and amenities guests have come to expect with the “at home” convenience of condominium living. 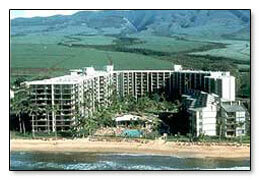 Located on beautiful Kaanapali Beach, the resort reflects what travelers want from a Hawaiian vacation. 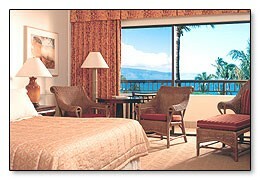 Located in the heart of Maui’s premier resort fronting a flawless stretch of world-famous Ka’anapali Beach. With 430 rooms, two restaurants and a poolside bar and grill, this is the ideal setting to turn your Hawaiian dreams into lifelong memories. Serenades by singing employees, Hawaii regional cuisine, complimentary nightly hula show, signature interactive Hawaiian cultural activities, free year ’round children’s program, weekly arts and crafts fair, welcome breakfast and departure kukui lei ceremony adds to the value. 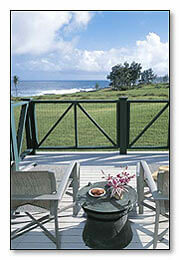 Enjoy Hawaiian ho’okipa (hospitality) at its best. Five story low rise located on 1800 acres and fronts a 1/4 mile of white sand beach. Its simplicity in color and design, with a Hawaiian theme, provides a tranquil setting and allows the beauty of Maui to be reflected. The central courtyard is the focal point with a traditional water garden complete with a cascading waterfall and ponds filled with gleaming koi. 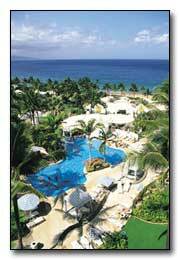 310 rooms, 19 suites, 8 handicap accessible. Located on 40 spectacular oceanfront acres on Ka’anapali Beach, the Hyatt Regency Maui Resort & Spa offers unlimited activities and amenities in a setting of tropical luxury. This resort features elegant rooms, tennis, sailing, restaurants, lounges, nightly “Drums of the Pacific” luau and oceanfront Spa Moana and Moana Athletic Club. 806 rooms with 32 suites. 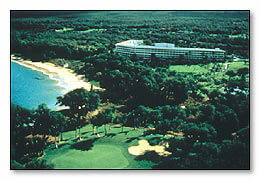 (formerly Maui Prince Hotel). A haven in one of the most scenic places on earth, The Fairmont Kea Lani Maui rests on Polo Beach, on the sunny southwest shores of Maui. Located close to Wailea’s three championship 18-hole, par 72 golf courses, 14 tennis courts, and boutique shopping, this resort offers a full activities program. Snorkeling, kayaking, sailing, windsurfing, and a myriad of island wide excursions are sure to keep you busy – or if you prefer a more leisurely pace, relax by one of the pools or pamper yourself with a rejuvenating treatment in the full-service Spa Kea Lani. A tropical Oasis, unique in its design and amenities, the world class Grand Wailea Resort Hotel & Spa allows guests to immerse themselves in exotic surroundings. Forty acres of lush gardens and tranquil waterfalls set the scene for accommodations, cuisine, pools and a priceless art collection. 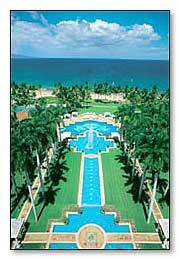 Located on the sunny southwest shore of Maui, the ultimate vacation experience awaits you at the Grand Wailea. For those who know Hawaii hotels, it is one of the most romantic spots in all the Hawaiian Islands, the dramatic point at which the legendary promontory Black Rock on Kaanapali meets the ocean. Here, anchored by Black Rock itself, the spectacular Sheraton Maui Resort beckons hopeless romantics, discerning honeymooners, and fun-seeking families. Known since ancient times as a region of physical and spiritual healing, Hana retains a Hawaiian sense of place that has been all but lost in other, more populous parts of the island state. 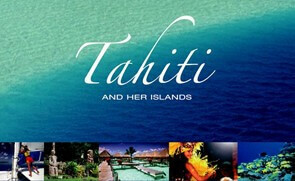 Its history, unmatched natural beauty, and genuine aloha spirit becomes an indelible part of each visitor’s experience.The Hotel Hana-Maui, Internationally known for its seclusion and beauty of its location, encompasses 66 rooms and suites located in various one-story cottages with private lanais. The Hotel’s lobby, restaurant, bar, and library are all located in a central building with an open courtyard. 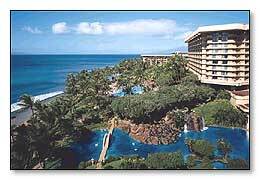 Located oceanfront in the upscale resort area of Wailea on Maui’s sunnier, drier southwest shore, Four Seasons Resort is often recognized as one of the premier tropical resorts not only in Hawaii but the world. Tranquil beauty and understated elegance best describes this resort featuring 377 rooms and suites in an 8 story U shaped building.One of the key benefits of staying at Four Seasons is the guest doesn’t feel there are “extra charges” for everything. There are over 40 complimentary services, facilities and activities included in the room rate. These range from complimentary children’s program year round, snorkeling, tennis, fitness classes, use of the spa, poolside cabanas, lei greeting to name a few and there is no resort or service fee charged. 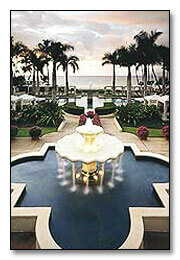 Therefore, the Four Seasons provides tremendous value. 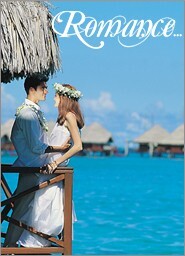 Appeals to all including couples, honeymooners and families with children of all ages. 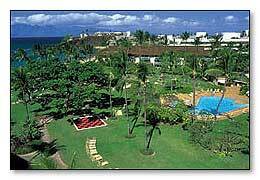 Located 10 miles north of Lahaina on the island of Maui, the oceanfront hotel is part of the Kapalua resort, a beachfront golf and tennis community. Situated on 50 acres of hillside, surrounded by century old Cook pines and ironwood trees, the property slopes down to a beautiful secluded white sand beach and overlooks the island of Molokai. It is a 9 story high rise with 548 Rooms & 58 suites.